“What, me worry?” Yes. Me worry plenty! Going into Friday there was a concern that Punahou74 would not meet its malasada shift commitment and would be about 15% short of the people we needed. And many of these volunteers were “tentatives.” When it came to shift time, would the malasadas have to be make themselves? TAJ MALASADAS is the name of this year’s Ewa Malasada booth. As the Taj Mahal is one of the world’s architectural wonders so too is a Punahou’s malasada one of the world’s culinary wonders! Thanks also to Nancy Dew Metcalf for being the class interface with Punahou and administering our class endeavor. I know what an effort this work is for some of you and appreciate your support each and every year. The booth has a well-deserved reputation for hot, greasy, back breaking work. And don’t think that alumni don’t know that: of the forty-two classes that staff Carnival shifts, only eleven of them are working under a malasada tent. The malasada stalwarts are 1970, 1974, 1976, 1977, 1982, 1984, 1987 (they also do the Buff ‘n Blue Store! ), 1992, 1995, 1996 (they also do Hawaiian Plate! ), and 2011. Note that most of these shifts are staffed by the fifty and over crowd! Given that it takes many more hands to fill these shifts this is a testament to the class spirit … something that ’74 has in surfeit. In addition to her floral arrangement prowess, BABS MIYANO YOUNG knows how to make a mean haku lei. But malasadas aren’t the whole story regarding Punahou74’s Carnival assistance. In addition to their malasada shifts Lisa Yamaguchi Bowden, Lee Ann Gullickson Nicolay, Lynne Gartley Meyer, Catherine Tompkison, and Babs Miyano Young also helped create haku lei. This required many nights and mornings of tedious work in Dole Cafeteria weaving snippets of local flora into strands of aloha loveliness. P.S. I could not take pictures during the shift and am awaiting delivery of pictures. When and if these become available I will share them with you via the blog. Sorry for the omission at this time but I wanted to make sure that everyone was recognized for their Carnival efforts as soon as possible. 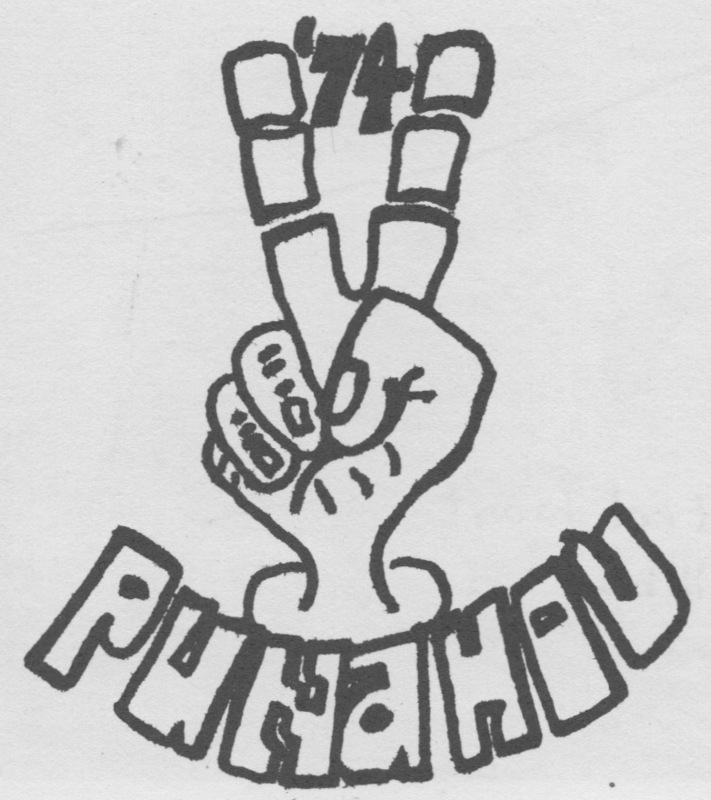 Mahalo plenty to the great Punahou Class of 1974!